Paula moved to West Windsor, Vermont over 15 years ago with her husband Dana and two sons. She had been involved in running Dark Horse Realty since its founding in 2001, becoming a licensed Realtor in 2004. Before making the move to Vermont, Paula earned a degree in Interior Design from Endicott College. Becoming a Realtor allows Paula to share her interest in home design with her clients. 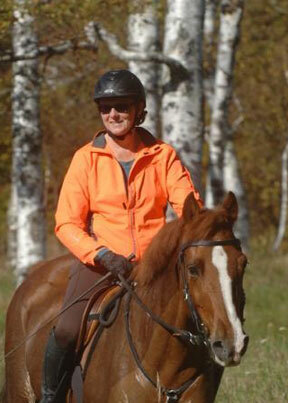 She is an active horse enthusiast, with an extensive knowledge of the GMHA trail system that surrounds our area. Paula has served on the Green Mountain Horse Association Board of Directors. In addition, she also works on the GMHA Trail Committee and as a volunteer for a variety of equestrian events. Paula has also worked for the Town of West Windsor as the Assistant Town Clerk before becoming a full-time Realtor. She enjoys sharing her experience in home design, vast knowledge of our area and its many fantastic horse properties with her clients.